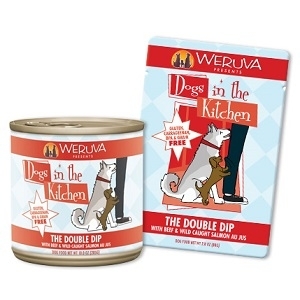 Dogs in the Kitchen The Double Dip Au Jus Canned Dog Food, 10 oz. Show your dog how much you love him with a delicious bowl made with beef, salmon, and mackeral, and pumpkin. 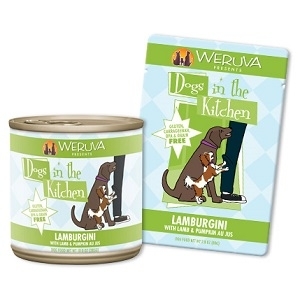 Dogs in the Kitchen Lamburgini Au Jus Canned Dog Food, 10 oz. Show your dog how much you love him with a delicious bowl made with lamb, mackerel and pumpkin. 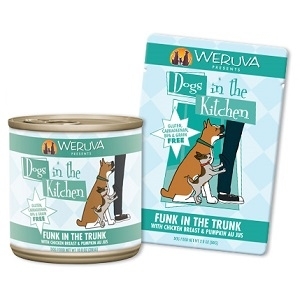 Dogs in the Kitchen Funk in the Trunk Au Jus Canned Dog Food, 10 oz. Show your dog how much you love him with a delicious bowl made with chicken and pumpkin. 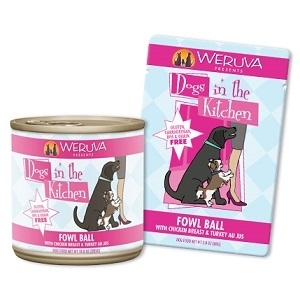 Dogs in the Kitchen Fowl Ball Au Jus Canned Dog Food, 10 oz. Show your dog how much you love him with a delicious bowl made with chicken and turkey. 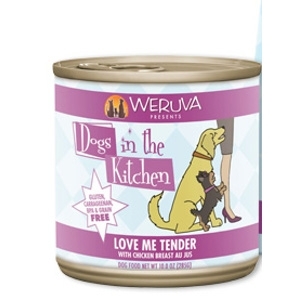 Dogs in the Kitchen Love Me Tender Au Jus Canned Dog Food, 10 oz. Made with Chicken Breast Au Jus. Pick up a can today from All Things Woof Meow, Too! 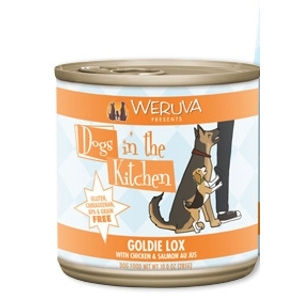 Dogs in the Kitchen Goldie Lox Au Jus Canned Dog Food, 10 oz. Grain Free Canned Dog Food. 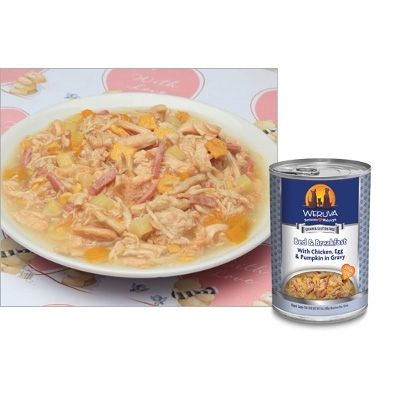 Contains Chicken & Wild Caught Salmon. Pick up a can from All Things Woof Meow, Too. 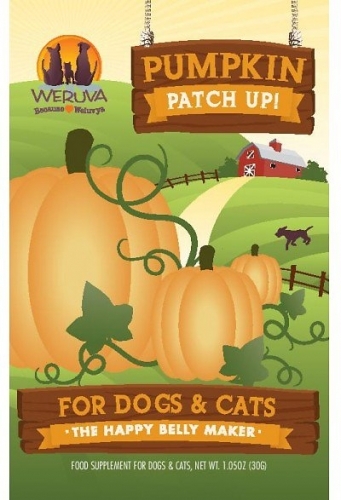 Weruva Bed and Breakfast Canned Dog Food, 14 oz. 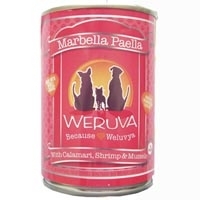 Weruva Marabella Paella Canned Dog Food, 14 oz. 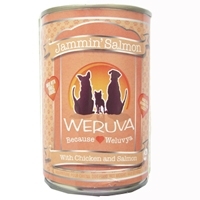 Weruva Jammin Salmon Canned Dog Food, 14 oz. 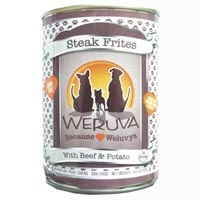 Weruva Steak Frites Canned Dog Food, 14 oz. 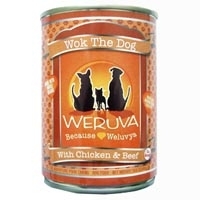 Weruva Wok the Dog Canned Dog Food, 14 oz. 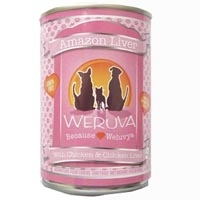 Weruva Amazon Liver Canned Dog Food, 14 oz. 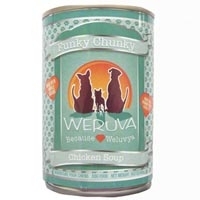 Weruva Funky Chunky Canned Dog Food, 14 oz. 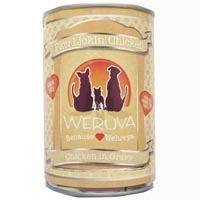 Weruva Paw Lickin Chicken Canned Dog Food, 14 oz. 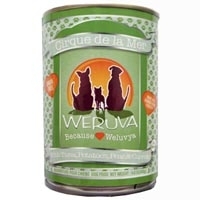 Weruva Cirque Mer Canned Dog Food, 14 oz. 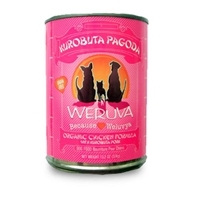 Weruva Kurobuta Pagoda Canned Dog Food, 13 oz. 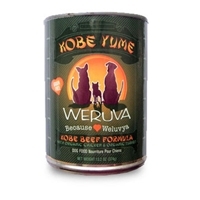 Weruva Kobe Yumi Canned Dog Food, 13 oz.